Every day, thousands perish. Those who survive share rumors of an alien entity called 'Diadora'. The survivors took refuge below the earth's surface, narrowly escaping the alien invaders. The governing Council ordered an immediate counterattack. 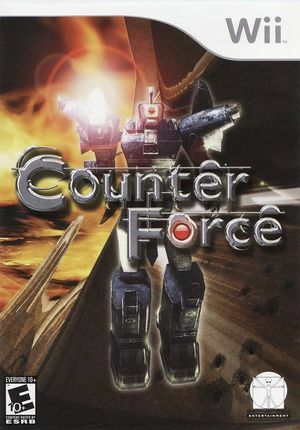 The primary objective codenamed Counter Force would reclaim the Earth's surface using 3 experimental robots. The secondary objective is to investigate the alien war-machine's weaknesses and defeat the mysterious 'Diadora'. The graph below charts the compatibility with Counter Force since Dolphin's 2.0 release, listing revisions only where a compatibility change occurred. This page was last edited on 8 January 2018, at 10:00.